Another card from Saedah. 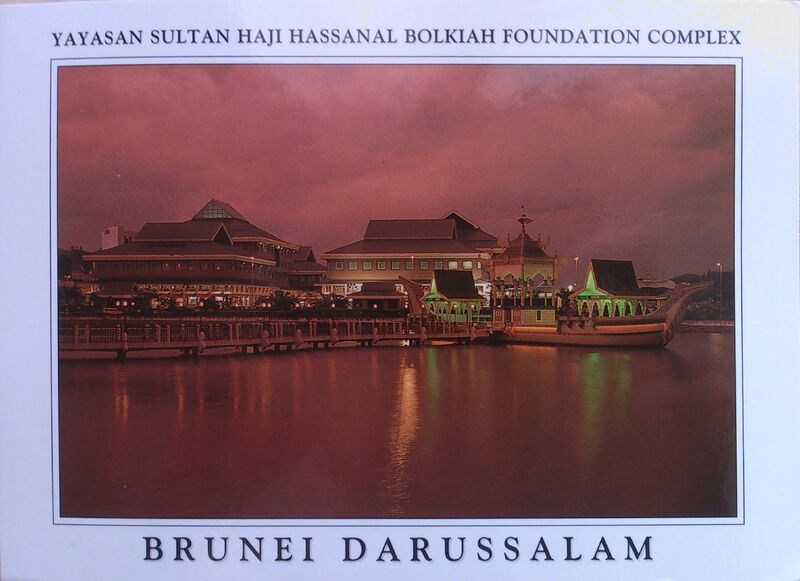 🙂 It pictures the Yayasan Sultan Haji Hassanal Bolkiah Foundation Complex. The Complex, with a view of the 16th century royal barge, is one of the capital’s most popular shopping venues, it offers picturesque view of the Omar Ali Saifuddien Mosque to the west and Kampong Ayer to the east.